Make your website as accessible as possible through organic search rankings on search engines. Search Engine Optimization (SEO) helps give your website more organic high-quality traffic based on your website's ability to show up in the first position or first page of a search engine's results. We want your website to get a lot of visitors, but what does it matter if those visitors don't need/want what you provide? SEO helps direct the right kind of users to your website by showcasing to search engine web crawlers and ever-changing algorithms that your website provides reputable, high-quality content. 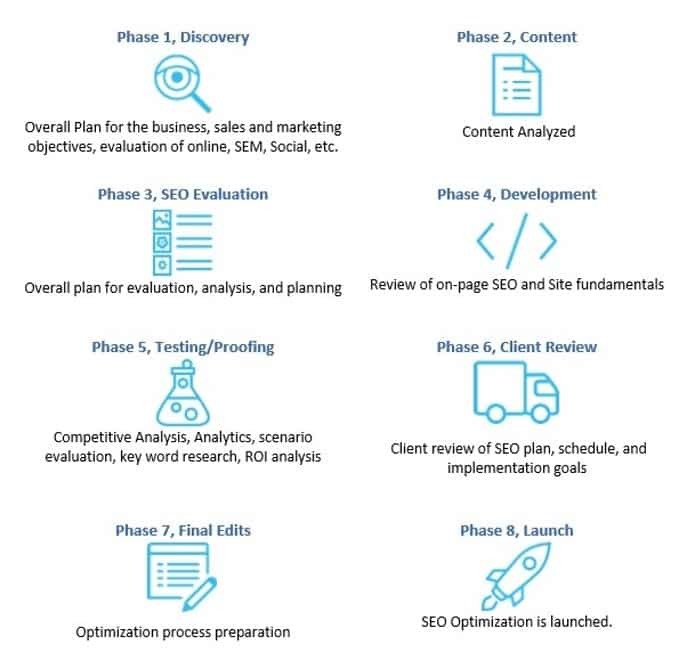 Our Search Engine Optimization (SEO) services utilize an industry-standard project management program that provides accountability and transparency by facilitating documentation, assigning tasks, tracking progress, and arranging client-access in order to monitor progress and provide feedback. Let's Ethically Improve Your SEO!